Insight Delivery Systems assist manufacturing, marketing, publishing, academic, and research clients in researching, developing and presenting highly specialized information at the highest standard of excellence. We provide flexibility in procurement options and painlessly achieve excellence in client’s information communications. Our expertise adds bottom line value by maximizing quality assurance. Proxima Energy is in prime position to offer advice on bidding, especially with regard to the Petroleum Exploration and Development Policy of the government and legislations guiding the industry. Our knowledge of the industry guarantees clients first-hand knowledge of the intricacies of the bid processes and insights on viability of acreages whether in the Frontier Basin, Onshore Niger Delta, Continental Shelf or Deep Offshore. These include the full range of business and technical management services that assist in the development, implementation, and continuous improvement of policies, procedures, guidelines, and directives that enable clients to operate the enterprise in an efficient and effective manner. 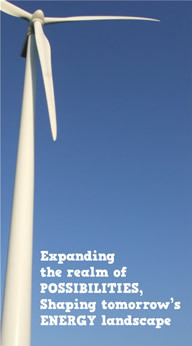 Proxima Energy’s services encompass all areas of IT policy and planning, including, but not limited to, enterprise architecture, security, training, enterprise resource management, business process reengineering, IT transformation and strategy, organizational change leadership, and enterprise and program management office support. Countries differ in how they regulate their private sector's activities. Outdated and cumbersome regulations deter investors and make it harder for entrepreneurs to start and operate new firms. Reducing the regulatory and administrative burdens on businesses leads to economic growth and job creation. Proxima Energy provides technical assistance in reforming laws, regulations and the business environment necessary for improved investor confidence. We undertake specific reform recommendations, long term reform targeting and implementation, strategic communication campaigns and monitoring and evaluation of reform impact.